NorthStar is pleased to announce that Brandon Haggerty, CISSP has joined NorthStar in a full-time capacity as of September 2018. Brandon’s interest in technology sparked at a young age, and has not let up since. After attending St. John’s University for his undergraduate studies and Minnesota State University – Mankato for his graduate studies, Brandon went on to earn certifications in GIAC’s Certified Windows Security Administrator (GCWN) and ISC2 Certified Information Systems Security Professional (CISSP). Brandon has 8+ years of experience and expertise in risk management, vulnerability assessment and penetration testing, information security awareness programs/training, HIPAA compliance, incident response, and social engineering. Brandon enjoys the constant evolution of Information Security and the ability to learn new skills and gain new knowledge on a daily basis. 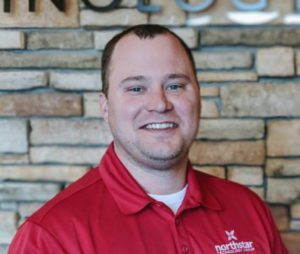 Brandon will be responsible for overseeing all security and professional service projects for NorthStar. He will work with our clients and NorthStar resources to ensure the satisfactory completion of all projects.